SINGER ISLAND _ Attention foodies -- you may want to circle Nov. 28 on your calendars. That's the night the Food Network will air the 2016 edition of the Christmas Cookie Challenge. Five accomplished bakers will vie for a $10,000 prize and Christmas cookie championship of the world. One of those five competitors is Brittani Szczecina, executive pastry chef at the Marriott Singer Island Beach Resort and Spa. You may recall the five-foot-high gingerbread house she created last year, which we wrote about here. 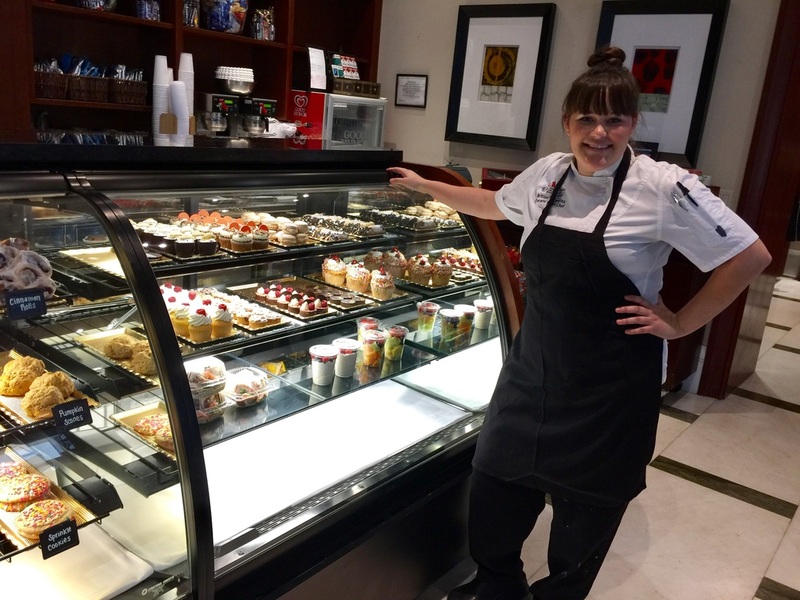 We asked the always-busy Brittani to take a break from the Marriott kitchens to tell us more. She said it all started via social media. "The Food Network found me through Instagram," she said, where they saw a picture she posted of the giant gingerbread house. "I applied and went through a long process and got picked." There's a lot she can't talk about until after the show airs, but she said the experience was "very intense." The show is hosted by Alison Sweeney, and there are three judges: Damiano Carrara, Sharone Hakman and Jordin Sparks. ​The excitement from participating still hasn't worn off. "It still doesn't feel real," she said. "It's the hardest thing I've ever done, but it's the experience of a lifetime." One outcome was how the five competitors bonded. "We have a group chat at least once a day," said Ms. Szczecina. "We cheer each other on." They even share care packages of goodies. "These are friends I will have for life." So how did she prepare for the show? Would she be up for another go-around on one of those Food Network competition shows? "You bet," she said, without hesitation. "Even Chopped ... I may be a pastry chef but I can throw down in the kitchen," she laughed. Again, the show airs Nov. 28 at 8 pm on the Food Network. And the suspense is killing us!